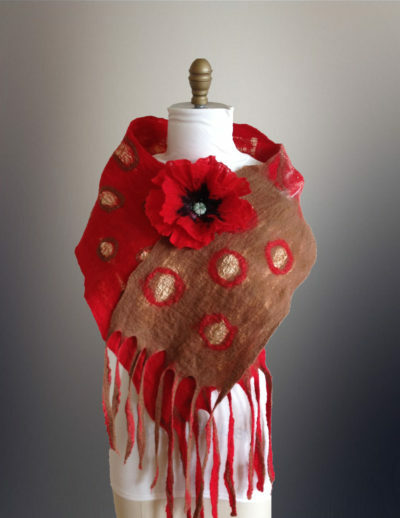 I am a designer currently working in Felt making creating wearable art. 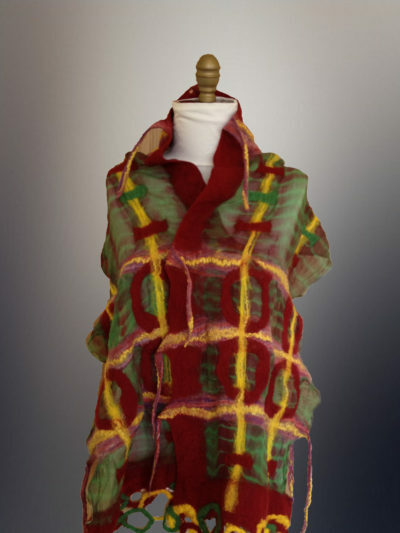 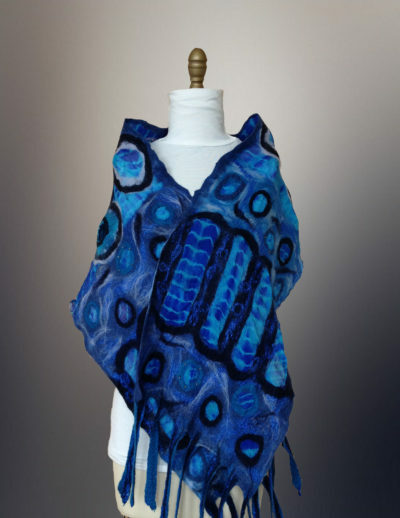 Studied from Melbourne School of Fashion and after being in the industry I developed a strong passion for Felting and explored it further and was totally amazed by its endless creations as felting is like painting but with fibre. 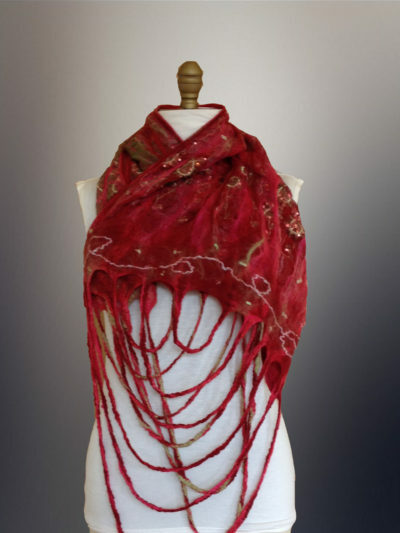 It is a process which transforms loose fibres to textile that is unique and beautiful leaving scope for the imagination to run wild. My felt designs are inspired and influenced by the various forms of nature. 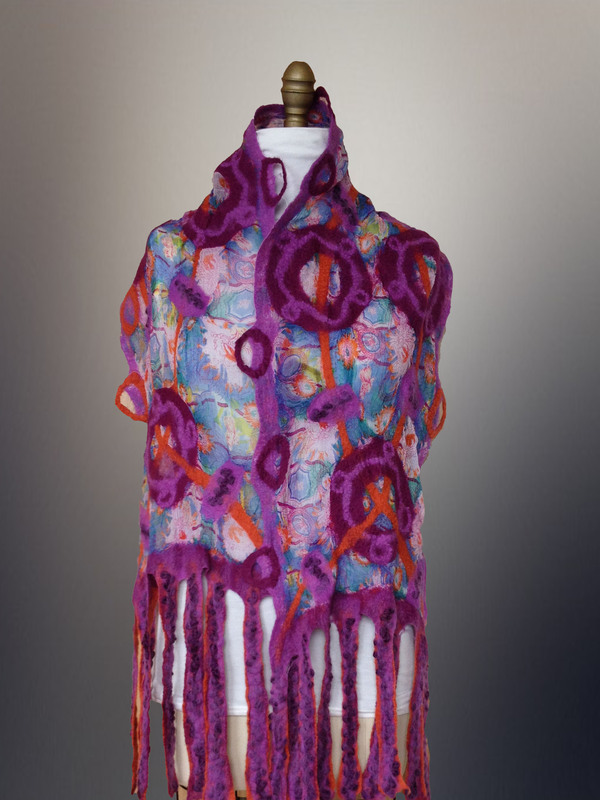 Felting has further opened doors for my love for colours, patterns and textures creating designs that are bold and lively. 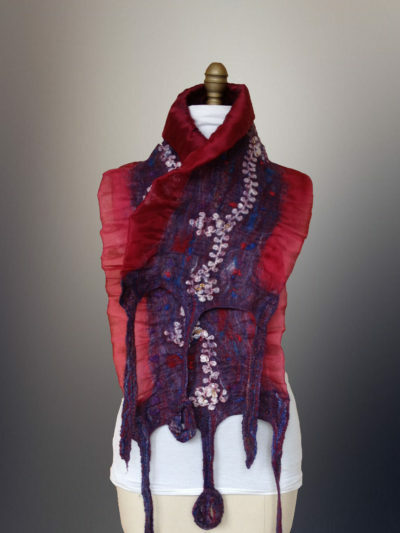 My favourite technique is Nuno Felting, where wool fibres are felted through a sheer fabric to create a beautiful lightweight and soft yet durable felt.